I am interested in 1048 Cedar Grove Boulevard, Oakville, ON. 1048 Cedar Grove Boulevard is a 3310 square foot House for sale in Oakville, ON L6J2C1. It has 4 beds, 4 baths and was listed on Ovlix.com since April 14, 2019 by Re/max Aboutowne Realty Corp., Brokerage for $2,725,000. Listing agent: Terence Smith. 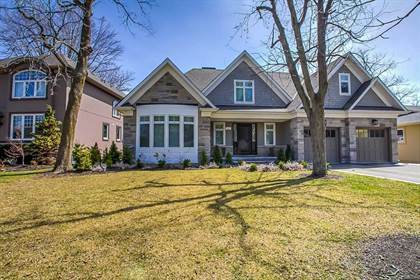 The average price for similar 1048 Cedar Grove Boulevard real estate listings - $1,715,095 which is 6% higher than $1,607,788 for Oakville, and 27% higher than $988,465 for Ontario. Comparable nearby homes are: 2102 Glenforest Crescent, 138 Cavendish Ct, 1522 Briarwood Cres, 1153 Lakeshore Rd E, 1374 Stanbury Rd. What's near 1048 Cedar Grove Boulevard, Oakville L6J: Garth Webb Secondary School, White Oaks Secondary School, Oakville Trafalgar High School, Paradiso, Glen Abbey Golf Club, Mississauga—Erindale, Oakville GO Station, Green Glade Senior Public School, Oakville Waterfront Festival.